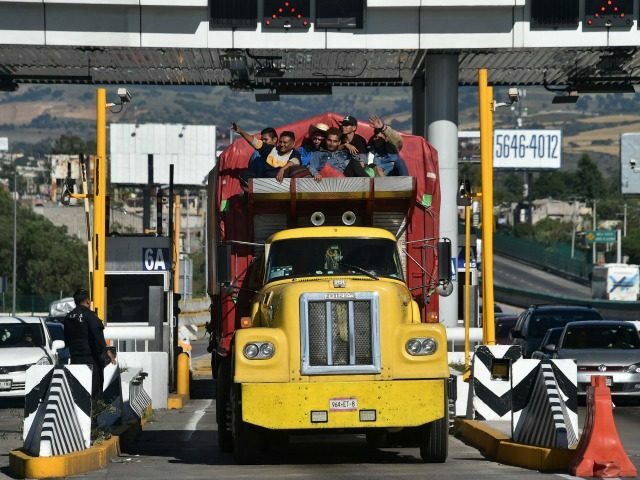 Caravan migrants in Mexico told the Dallas News they are migrating towards blue-collar jobs in the United States. The economic explanations contradict the claims by pro-migration lawyers, progressives and by most reporters that the migrants are helplessly fleeing from crime in their homelands. [Edwin Edgardo ] Hernandez has grand plans of reuniting with his brother in Dallas. But, for now, he said Atlanta beckons with a bigger sense of urgency: Jobs. Weeks ago, his former boss sent word to his community via recruiters that construction jobs await him and others to build stores like Wal-Marts and Home Depots — the kind of construction work he once did here in the U.S., the very work that once helped him earn enough money to build a home back in Honduras. As they watched TV about the latest caravan, both perked up. [Honduran Juan Carlos] Rivera immediately called his uncle Wilfredo in Dallas who told him about a construction job. Another cousin in Miami told him about a roofing job. A caravan meant not paying thousands of dollars to a smuggler. Plus, there was safety in numbers. He and wife talked into the night. By morning, his wife and daughter left their town to move to an undisclosed place, away from imminent danger. Rivera took a bus and headed for Guatemala where he met the caravan. Five million Central American adults want to migrate into the United States, according to a Gallup survey published right after the midterm elections. The Dallas News article, to its credit, does not treat the migrants as hapless victims but treats them as striving humans trying to do the best they can for themselves and their families. The [migration] increase undoubtedly fuels some of the rancor against immigrants and asylum-seekers now coming from the White House. Trump used the caravan to ignite anti-immigrant sentiments and rally his base and justify the deployment of thousands of troops at the southwest border. 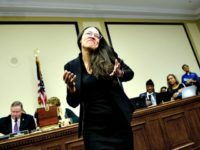 But many polls show the public rationally opposes cheap-labor immigration because of its economic impact on fellow Americans and their children. Business groups and Democrats tout skewed polls which prod Americans to declare support for migrants and for the claim that the United States is an economy-expanding “Nation of Immigrants,” not a nation of Americans. The alternative “priority or fairness” polls — plus the 2016 election — show that voters in the polling booth put a much higher priority on helping their families, neighbors, and fellow nationals get decent jobs in a high-tech, high-immigration, low-wage economy. Economists say the U.S. job market is in need of hundreds of thousands of workers, many in the kinds of low-paying jobs that immigrants — authorized or not — often fill. Americans have long assumed that companies and investors who are trying to fill lower-wage jobs in a tight national labor-market would be pressured to offer higher wages and to invest in labor-saving machinery. But investors do not need to offer higher wages or raise productivity if the government allows them to employ mobile workers from outside the national labor market and also supplements the migrants’ low wages with hidden taxpayer subsidies of aid, welfare and free schooling for their children. Also, the extra inflow of migrants provides investors and government agencies with many extra customers for food, autos, apartments, and government services. A tacit alliance of progressives and investors, Democrats and Republicans, has largely blocked Trump’s efforts to help ordinary Americans by curbing migration into U.S. workplaces and neighborhoods. Washington’s economic policy of using migration to boost economic growth shifts wealth from young people towards older people by flooding the market with cheap white-collar and blue-collar foreign labor. That flood of outside labor spikes profits and Wall Street values by cutting salaries for manual and skilled labor offered by blue-collar and white-collar employees. Immigration also pulls investment and wealth away from heartland states because coastal investors can more easily hire and manage the large immigrant populations living in the coastal states. Read the Dallas News article here.